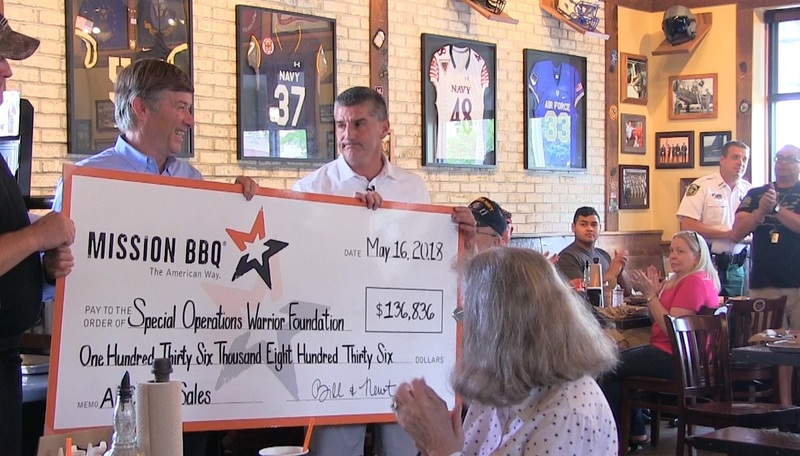 Brandon, FL (May 16, 2018) MISSION BBQ co-founders, Bill Kraus and Steve Newton announced the donation of $136,836 to the Special Operations Warrior Foundation. The check was presented to President and CEO, VADM Joseph Maguire, USN, Retired at the Brandon location. This donation was made possible by the generous support of their Customers every time they purchased an American Heroes Cup from 7 locations during 2017. During the 2018 period, 11 locations will feature the cup throughout Florida. $2 from each American Hero Cup purchase will be donated to the Special Operations Warrior Foundation. The partnership between Special Operations Warrior Foundation and MISSION BBQ began in December 2015. MISSION BBQ was able to donate $105,964 in 2017, which was made possible by the generosity of their Customers. “The Mission of MISSION BBQ is to Serve, Honor and Thank our American Heroes. In Serving, we give back and are Proud to do our part for the Special Operations Warrior Foundation,” said Bill Kraus and Steve Newton. 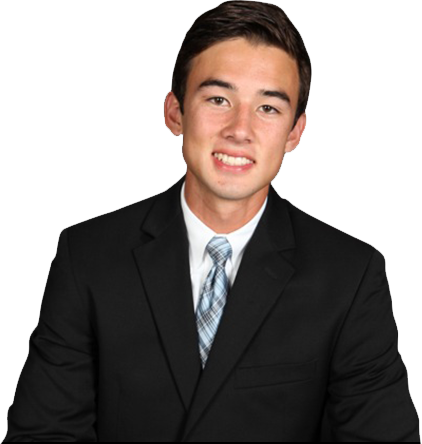 “On behalf of everyone in the Special Operations Warrior Foundation, I’d like to thank the great Mission BBQ Team led by Bill Kraus and Steve Newton for their extremely generous and sustained financial and moral support. The only thing that exceeds Mission BBQ’s world class barbeque and service is their generosity. When something happens to America’s Special Operators, they know that our Foundation has their backs. We couldn’t be there for them without Mission BBQ’s philanthropic support,” said VADM Joseph Maguire. MISSION BBQ opened its doors for business on September 11, 2011. We believe there is nothing more American than BBQ. And nobody more American than the brave men and women who have sworn to protect and serve Our Communities and Our Country. We do what we do for the love of our soldiers, firefighters, police officers, and first responders—all our loved ones in service. We set across this great land from Texas to Kansas City, the Carolinas to St. Louis...to discover the secrets of great BBQ. Every day we strive to serve you authentic BBQ made from the freshest, most delectable ingredients, and serve it to you in a patriotic dining room filled with tributes to those who’ve made Our Country great, given to us by the people who earned them. Stop by at lunchtime, and you might catch us during our daily salute to the Stars and Stripes.